Santa Rosa, California’s Press Democrat first reported yesterday that Lagunitas Brewing Co. will lay off 12% of its employees. The paper wrote that, with staffing of about 900 people at Lagunitas’ Petaluma, CA HQ, that location would take “the brunt of the more than 100 layoffs,” with cuts coming from every department in the company. The brewery also has a production facility in Chicago and taprooms in Seattle and Azusa, California. It’s been an odd few months for the Heineken-owned Lagunitas. In June, the company announced the creation of Hi-Fi Hops, a non-alcoholic beverage dosed with THC, the psychoactive compound found in cannabis. While the move is certainly in line with the company’s culture, other recent announcements have been more curious. In August, Lagunitas launched a new line of hop-flavored sparkling water, and in September it was revealed they’re planning a low-ABV, low-calorie IPA. (Speaking of lower ABV, Lagunitas recently rolled out a reduced strength IPA in the UK.) Shedding jobs alongside some out-of-the-ordinary brand moves combines to make one strange moment in time for what was one of craft brewing’s darlings just years ago. Also in September, My Beer Buzz found TTB approval for a new Newcastle Brown Ale label, showing that the Heineken-owned brand would be brewing and bottling its beer at Lagunitas' facilities in Petaluma and Chicago. While unconfirmed, Lagunitas’ shift of volume from its own brands to brewing for others could present an ideal scenario for using excess capacity, of which Lagunitas reportedly will have plenty. Last year, the Chicago Tribune reported Lagunitas’ Chicago production plant was producing 405,000 barrels a year, but could max out at 1.2 million. The company’s Azusa facility was created to handle up to 1.8 million barrels. The flagship Petaluma location seems downright quaint by these standards with just a 680,000-barrel capacity. This past spring, Stipp told Marketwatch Magazine that, despite an aggressive expansion, the company was working to not grow too fast. When Heineken purchased 50% of Lagunitas toward the end of 2015 (it purchased the other half in 2017), the company was on pace to produce 791,000 BBLs and coming off a year-to-year growth rate of 32%, according to numbers reported by the Brewers Association. Since then, 2016 (921,000 BBLs) and 2017 (984,000 BBLs) have slowed in growth percentage. Perhaps a sign of corporatization seeping in, reported barrels also lost an annual tradition: until 2016, every year's production ended with "420" for its last three digits, a nod toward Lagunitas’ long, connected history to marijuana. Still, the growth was outpacing craft’s broader trend of around 5% the last couple years, and Lagunitas IPA continues to be a flagship not just for the brewery, but for the entire style of IPA. Last year it sold about 174,000 BBLs in IRI-tracked grocery, convenience, and other stores alone, roughly equivalent to the entire portfolio of Breckenridge Brewery in those same stores. Founder Tony Magee has said the brand makes up around 60% of the brewery’s total sales from draft and package. 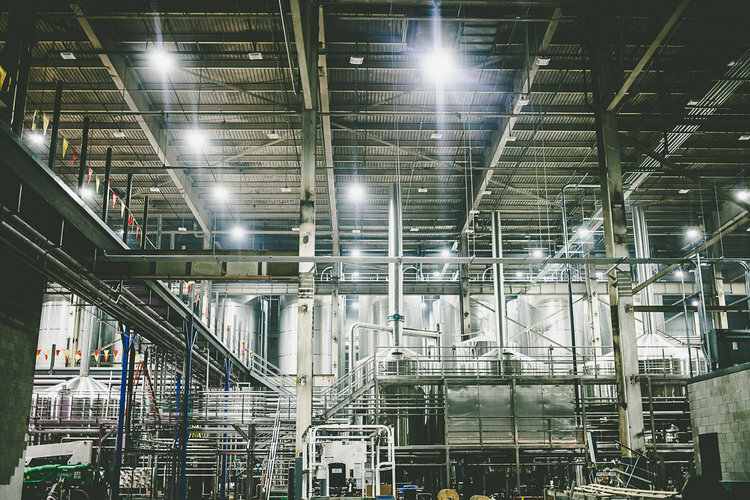 And while comparisons to the beer industry’s late-’90s "shakeout" may seem drastic, the reality of overall growth for Lagunitas or its peers in size isn't great. According to IRI numbers only, Lagunitas was on pace through September to produce about as much packaged beer as last year, a continued, slow slide toward flatter sales. Overall, the Brewers Association reported that breweries producing one million BBLs of beer or more were down almost 2.5% in growth halfway through 2018. Layoffs aren’t out of the ordinary for companies of this size or bigger, of course. Last month, MillerCoors announced it would get rid of about 350 positions, and that came after Anheuser-Busch InBev ended positions for hundreds of High End-related employees in 2017. In August, Constellation Brands terminated 60-100 “craft and specialty reps,” according to Brewbound. On the craft side, Stone Brewing Co. laid off more than 50 employees in 2016 among its own expansion projects. Jeremy Grenert, former Lagunitas director of field marketing who left his role on Sept. 28 for a new position at Bear Republic, tweeted about the "heartbreaking day" after hearing the news. But he also shared a piece of advice that has become a rallying cry for businesses across the beer space: "I cannot express the importance of local and independent enough today."